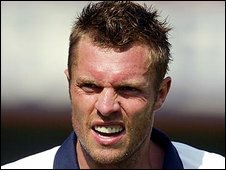 Lincoln City striker Geoff Horsfield was delighted to return to competitive football at the weekend after being treated for testicular cancer. Horsfield, 35, played for 80 minutes against Brentford on Saturday, and set up Anthony Elding's equaliser in the 2-2 draw at Sincil Bank. He told BBC Radio Lincolnshire: "Three months ago I said I would retire but I've been given a new lease of life. "I'm glad to be back playing and my aim now is to get Lincoln promoted." Former Birmingham, West Brom and Sheffield United striker Horsfield was training with League One side Walsall when he was diagnosed with testicular cancer in October, and announced his retirement from football. But following successful treatment he reversed his decision and, after training with Lincoln, signed a contract with them until the end of the season. He said: "You look on life differently when you get diagnosed with cancer, but everything's clear and I'm just glad to be getting back to Saturday afternoons. "I'd have never thought I'd be doing what I'm doing but the gaffer [Lincoln manager Peter Jackson] gave me the chance to come and train, and he needed a striker so it's worked out for both of us."